Farm & Home Supply was founded as a single store back in 1960, where it was originally known as Quincy Farm Supply. Since then, we have expanded to 12 different stores across the Midwestern states of Illinois, Missouri and Iowa. 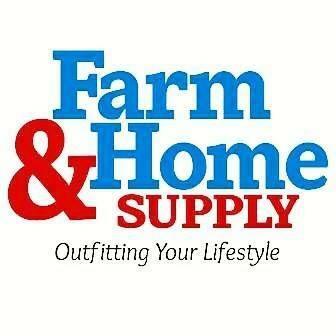 At Farm & Home, we specialize in providing quality products for your farm, home and livestock needs. We also carry firearms, ammunition, clothing, automotive supplies and a large variety of everyday necessities. Our company is owned by local families focused on providing knowledgeable, courteous service and providing products essential to living in the Midwest. We love giving back to the community in a variety of ways. We live here, raise our families here and rely on customer loyalty to continue to be successful. We strive to offer a superior experience because we genuinely care about our customers and want to focus on the products and services that you need and want. Thank you for choosing Farm & Home Supply for your needs, we’re happy you’re here!